Heâ€™s never won in Germany, whether in the European or German Grand Prix; the latter of which has seen Kimi RÃ¤ikkÃ¶nen retire six times. 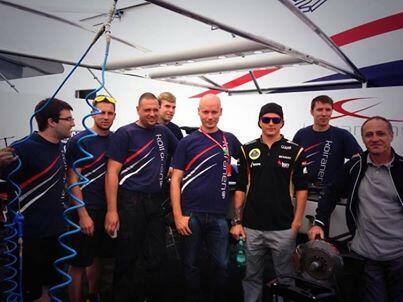 After a top three placing with Lotus F1 Team last season, can this finally be the year for Kimi at the NÃ¼rburgring? What is it about Germany that hasnâ€™t been kind to you in the past? I donâ€™t know, maybe I did something bad in a former life? I have always enjoyed driving in Germany, but the problem is that luck has never been on my side there and something has always happened to stop me winning. Iâ€™ve got four poles to show my speed on German soil, but six retirements at this race havenâ€™t been what I wanted. Does it set you more of a challenge to have raced in Formula 1 in Germany 16 times, but never won? Not really. A race is just a race and you always try to do your best. Obviously in the past both circuits â€“ the NÃ¼rburgring and Hockenheim â€“ have not been very kind to me, but I like them both and I have always been very competitive; in terms of pace if not maybe results. Iâ€™ve gone very well at the NÃ¼rburgring before, just never won. A couple of times Iâ€™ve had to stop while leading the race which always sends you home with a bad feeling. Hopefully I can finally get everything right this time. Last year we made the top three in Hockenheim, so letâ€™s wait and see how it goes at the NÃ¼rburgring for the first time with this team. It was a disappointing end to the weekend for sure. Things were going pretty well in the race, but it was a mistake not to switch to new tyres when the safety car came out. I tried to hold on, but with tyres that were maybe twenty laps older than the others it was impossible to keep them behind at the end. Itâ€™s a shame as we had good pace and looked set for a pretty easy P2, but this is racing sometimes. It makes no difference to the Championship, so Iâ€™m really not interested in that. You had a pretty intense moment behind Jean-Eric Vergne; were you nervous at all? It wasnâ€™t ideal having bits of rubber thrown at your helmet for sure, but risk is all part of the game. It wasnâ€™t his or the tyresâ€™ fault; if you have sharp edges on a kerb as seemed to be the case there last weekend then these things can happen no matter what tyres you have. It didnâ€™t change our race anyway. Itâ€™s not been an easy run of late; does that affect your mindset? No. Itâ€™s three races now where we havenâ€™t had the result we maybe expect, but hopefully if we can have a bit more luck and also get rid of some of the mistakes weâ€™ll be able to get back to the front. Whatâ€™s the NÃ¼rburgring like to race? Itâ€™s pretty good, but probably not as much fun as the old one. 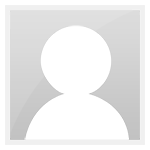 It should suit us, but the fact is you need a really good car to be competitive there. Most of all you need good traction out of the corners and a stable car under braking. Weâ€™re pretty reasonable in both these areas. We have had our issues with cooler weather and unfortunately itâ€™s not usually that warm at the NÃ¼rburgring, but weâ€™ll just see what we get and get on with it. Whatâ€™s the target for this weekend? We never promise anything beforehand. A podium would be a positive result and a step in the right direction. We missed that at Silverstone, and it would be good to get back to the top positions. The season is still long and the leaders of the championship are ahead of us. Realistically, all I can do is to do my very best in each race. Will you tell us the story about your hair? No. But if I get on the podium in Germany you will see it. How do you like the NÃ¼rburgring? Itâ€™s quite a nice track with a quite a lot to it. Thereâ€™s a really interesting mix of corners which means you have plenty to think about over the course of a lap; youâ€™re certainly kept busy! The first section relies on mechanical grip and Turn 1 can be interesting at the start of the race if people go too deep into the corner. It can also be a good overtaking opportunity during the race too. After that there are some higher speed corners down to the hairpin â€“ which is another good place you can overtake â€“ then nice high speed stuff for the rest of the lap. You need a well-balanced car so I think we should go pretty well. Whatâ€™s your past form at the circuit? This will be my first time racing there in Formula 1, but Iâ€™ve raced at the track previously in F3 and the GP2 Series. Last time I raced there â€“ 2011 in the GP2 Series â€“ I scored a podium and a win so my most recent memories of the circuit are certainly good. Would you like to have raced on the old NÃ¼rburgring? Itâ€™s quite some circuit and it must have been amazing to have raced there. I canâ€™t imagine what it would be like if we raced the current Formula 1 cars there. For starters can you imagine how long the set-up meetings would be with all those corners to talk about?! The Thursday morning track walk would be pretty epic too! How was your British Grand Prix? It wasnâ€™t the best of races; quite a frustrating one in fact. We had a problem with the front wing which got worse over the course of the race, and ultimately we lost a big part of it. There was a lot of vibration and it became really difficult to drive, so in the end it was best to retire because of safety considerations. Before that, things werenâ€™t going quite to plan and we were suffering with tyre performance issues related to the front wing. The safety cars didnâ€™t really go our way either so itâ€™s a race Iâ€™d rather forget. Was it good to out-qualify Kimi for the first time this season? Of course, you always want to be faster than your team-mate so it was good to be in front of him on the grid. We both had different upgrade packages on our cars, so it was good to see we were able to get similar speeds out of them. Of course, we want some more speed too, but there are still more parts to come and weâ€™re still learning about the latest upgrades so thereâ€™s potential yet. What do you think can be achieved from the next few races? Weâ€™ve got new parts on the car and we certainly have the pace for some strong results. The last few races have been frustrating for various reasons, so if we can get a few solid weekends we should be able to get some decent results and score good points. What are your thoughts on the current tyre situation? Well it looks like I could be busy at the Young Driver Test in a few weeksâ€™ time if race drivers are allowed to take part. Certainly, Silverstone was a very unusual situation and I know that myself and Kimi were being asked to stay off the kerbs as it was thought that using them on certain corners wasnâ€™t helping the situation. No-one wants tyre failures and I know all the teams and the sport are working with Pirelli to put this right. Iâ€™m sure there will be a satisfactory solution soon. Not the best of weekend in Silverstone for the team? The outcome of the race wasnâ€™t rewarding with the amount of work that has been done by the team recently. Most of the upgrades we brought seemed to be working which is a positive sign, although we did struggle a bit in qualifying to generate good grip from the tyres. Our strategy was great until the last safety car. We should have called Kimi in to save at least one position and make the podium. Unfortunately, we made the wrong call for which we apologised to Kimi and to the team. This sometimes happens and it isnâ€™t easy to manage when you have so many safety car periods. In Germany weâ€™re confident we will be competitive and aiming to make amends. For Romain, it was a frustrating race after a strong Saturday performance where heâ€™d outqualifed Kimi. Itâ€™s very unusual for us to have a part fail, so weâ€™re looking very closely at his front wing to ascertain what went wrong. How was the post-race debrief at Silverstone? Weâ€™re all grown-ups and weâ€™re all pretty frank with each other. It was pretty obvious with hindsight that we made the wrong call. No team can say that they make the correct call on every occasion; whether in race strategy, car design philosophy or any other aspect of the sport. Kimi was pretty frustrated when he got out of the car which is understandable â€“ we wouldnâ€™t want a driver who wasnâ€™t frustrated after what happened â€“ but thereâ€™s no point sitting in the corner sulking; weâ€™re focused on getting a good result in Germany. 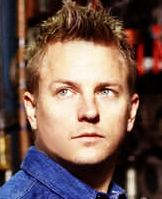 Kimiâ€™s an intelligent guy and he wonâ€™t let a single pit stop call define a decision like where to drive for 2014. One of his psychological strengths is that he clearly lets you know when heâ€™s upset about something, then he refocuses and gets on with the next challenge very quickly. He seems to like being with Lotus F1 Team and weâ€™re doing everything we can to show him this is the place to be for next season and beyond. What are the positives for Germany? Thereâ€™s nothing about the NÃ¼rburgring to cause us any concern so we should be in the hunt again in Germany. We brought plenty of upgrades to Silverstone and we have a lot of data from the weekend so there should be some more pace to extract there. Another positive for the team to take from Silverstone was that all our race pit stops were completed in 2.5 seconds or under. Itâ€™s great to see the hard work in this area making improvements, so a big thanks to the pit stop crew â€“ who practice their stops so many times both at the track and at the factory â€“ as well as the design and manufacturing departments for all the equipment and relevant car parts too. How is on-going development of the E21? Weâ€™ve raced with the Device now and we are happy with it. It should make appearances again this season. We have also developed a new aerodynamic package which also brings benefits. Now weâ€™ve used both on track and are happy with the results, the next step is to combine the two. We also have plenty of other developments continuing with this seasonâ€™s car and weâ€™ll keep pushing till the end of the season. Theyâ€™re quite a topic of discussion these days arenâ€™t they? Obviously, we saw more tyre failures than weâ€™re used to seeing at Silverstone and Pirelli are analysing all the data available. Itâ€™s something thatâ€™s very much in the media, but the important thing is that the sport has tyres which are firstly safe and secondly fair for all competitors. The tyre failures in Silverstone were a concern and weâ€™re doing everything we can to assist Pirelli. Once they have completed their analysis, then decisions can be made based on the available information. Weâ€™re completely behind any changes which could be required on the grounds of safety and always have been. Weâ€™ve never pushed to race on tyres which Pirelli have told us could have the potential to be unsafe. Whatâ€™s your analysis of the British Grand Prix? Ultimately we finished P5 from a P8 grid slot with Kimi, so it wasnâ€™t the end of the world. However, weâ€™d been looking much stronger and our race was actually going very well right up until the last safety car period, which left us with a dilemma; bring Kimi in for fresh tyres or run to the end. With hindsight, itâ€™s obvious we made the wrong choice. What were the circumstances leading to the strategy call? Having stopped moments beforehand, Fernando [Alonso] was extremely fortunate with the timing of the safety car. Mark [Webber] was on options that were fading fast, so the timing of Sebastian [Vettel] parking his Red Bull in a place where a safety car was needed was most fortuitous for Mark. Nico [Rosbergâ€™s] lead was such that he had a free stop. Of the cars, like us, who were on hard tyres and planning to go to the end, Daniel [Ricciardo] and Adrian [Sutil] stayed out just like us. Based on the information we had at the time and what we believed the pace difference to the medium tyre would be, the call was made to stay out because we believed that our tyres were in good enough shape to run to the end in that position. Had we pitted for options and seen Kimi stuck behind Daniel and Adrian for the remainder of the race we would have been equally criticised, so it was a risk either way. Itâ€™s a good track and one that the drivers really seem to enjoy as it has a real mix of everything. The opening sector is really quite technical, with good traction and a strong front end needed for some of the longer radius low speed turns. Then of course thereâ€™s a couple of swooping, medium speed downhill turns towards the hairpin, followed by the high speed kink which â€“ despite the gradient â€“ is taken flat out in 6th or even 7th gear at around 280kph and really pushes the drivers. Next, you have a couple of medium / high speed corners leading onto the long back straight, followed by a tight chicane and the last corner, where a good front end is again required to counter the understeer inducing nature of the turn. In terms of chassis setup thereâ€™s a little bit of everything required; good change of direction for the medium speed corners, decent traction and front end for the tricky first sector and good top end speed for the long straights. Are there any further upgrades for the E21 this weekend? Having only just been to Silverstone there wonâ€™t be anything major, as the crew will be driving straight down to Germany to rebuild the cars without stopping at the factory. That said, we still have a new wing which we havenâ€™t used yet and we still have to try various permutations of the latest upgrades on both cars. If itâ€™s good weather and everything goes to plan, we could unlock quite a bit of speed this weekend. At Silverstone, Kimi ran with the Device and Romain rain with the new slimline bodywork package. The gains from both were roughly on a par with each other, so once weâ€™ve confirmed everything on the data, combining the two â€“ which have been developed on parallel but separate development paths â€“ could well be the way forward. That wonâ€™t be for Germany, where weâ€™ve yet to determine which package we will use. Watch closely when the garage doors open for first practice. Weâ€™re supporting Pirelli, as we have all year, with any information and data they require. Obviously, no-one wants a repeat of the situation we saw in Silverstone and Pirelli are trawling through the data and analysing the tyres to establish what went on. From our perspective, we would never block any changes required on safety grounds. Pirelli have always stated that their tyres are safe. If itâ€™s the case that they believe the best way forward â€“ in the interests of safety â€“ is to change the tyres to, say, a Canada development specification â€“ or even last yearâ€™s specification â€“ then weâ€™ll be behind it. As regards a change for any reason other than safety, we have been performing well on the original specification tyres this season and are reluctant to lose that advantage based on the preference of our rivals. Thatâ€™s only natural in a competitive sport; but safety is an entirely different matter. Turns 1 - 4: Thereâ€™s a quite technical low speed complex through T1-T4, with mechanical grip and suspension settings holding greater importance here than at other sections of the circuit where downforce and the aero package have greater influence. Turns 5 - 6: Good high speed turn in and balance are required here. T5 is approached at around 270kph and taken at just over 200kph, before braking to around 130kph for T6. Turn 7: Strong braking with good modulation is required into the hairpin, which provides a good overtaking opportunity. Approached at 280kph, the drivers drop all the way to 100kph through here. Turns 8 - 9: A high speed section of the circuit taken at over 250kph. Turns 10 - 11: Good mid-range pickup is required from the engine exiting T10 & T11; both of which are taken between 160 - 170kph. TURN 12: The drivers will be flat out through here at around 280kph. Turns 13 - 14: The chicane is the only corner around the circuit where the kerbs are used. The left is taken at under 100kph, the right slightly faster. Turn 15: This corner is vital to achieve good speed down the main straight. The drivers need to shed 100kph coming into the corner and ensure a clean exit on to the power. Front Wing: You need a car which carries a reasonable amount of front wing at this circuit to balance the car for the longish medium speed corners. Rear Wing: The downforce level used here is very similar to that of Silverstone, which is on the high side relative to the other circuits seen during the season. Suspension: We need to concentrate on a set-up for high speed change of direction here, so itâ€™s somewhere youâ€™d have the car set up a little stiffer than the general baseline. There is not much use of the kerbs so you donâ€™t need to factor this into the equation. Brakes: You need good brakes which can be modulated well to attack the chicane before the last corner, which is a good overtaking opportunity. Engine: There are no engine requirements which are specific to the NÃ¼rburgring, so we are looking for good mid-range torque to aid the drivers on exit of the medium speed corners, plus good all-round driveability. Tyres: Itâ€™s the medium and soft tyres, which are suitable compound choices as we can see lower temperatures at the NÃ¼rburgring and there arenâ€™t the energy demands of a track like Silverstone. The soft is quite a racy tyre, so I would expect to see around a second per lap difference in qualifying pace with a 2-3 stop race. From live session updates to team event coverage, paddock atmosphere insights, competitions, quizzes and of course plenty of motoring banter, Twitter has become a focal platform in the teamâ€™s social media portfolio. The past week has seen classic examples of some highly entertaining engagement initiatives, with two photo competitions bringing out the creative side in our ever-enthusiastic fan base. The first of these invited followers to share what was happening in their world when the 250,000 follower mark was breached with the aptly named #My250k contest; a celebration of the fans and their contribution to the cause giving a fantastic snapshot of the profileâ€™s global reach. The second competition by contrast could only be described asâ€¦ well, ridiculous, but in the most entertaining way possible. When a certain Finn driver arrived at Silverstone on Thursday sporting an intriguing [although largely hidden] new look, we couldnâ€™t help but have a little fun. 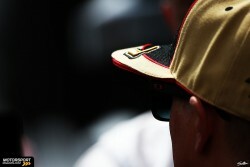 Thus #KimiStyle was born, with fans invited to send us their customised Kimi cuts. Look around this page for a selection of our favourite images from the competitions, or click here http://bit.ly/Pg0UVY to get involved with the fun. Every year, tens of thousands of racing enthusiasts descend on the Northamptonshire countryside for the British Grand Prix, with many of those opting to join in the carnival atmosphere by camping out around the circuit. On Thursday night, this dedicated crowd â€“ who had braved some pretty miserable weather â€“ were treated to a surprise appearance from Team Principal Eric Boullier, who took time out to visit the Woodlands Campsite. The event â€“ organised by the Silverstone Circuit â€“ proved to be a big hit, as Eric took part in a Q&A session hosted by Formula 1 pundit Tony Jardine followed by a meet and greet with the fans; shaking hands, signing autographs having pictures taken and voicing his appreciation for their support. During the build-up to the British Grand Prix, drivers Romain Grosjean and Davide Valsecchi were on hand at the Lotus Originals store on Londonâ€™s Regent Street to help launch a brand new range of official Lotus F1 Team merchandise aimed at the next generation of Formula 1 fans. From â€˜Trunkiâ€™ suitcases to â€˜Scalextricâ€™ slot car racing sets, crowds flocked through the doors to check out the new products and of course get up close and personal with two of the fastest men on the planet. In addition to signing autographs, posing for photographs and chatting with the fans, Romain and Davide challenged guests to a race on the brand new Lotus F1 Team branded Scalextric set; taking on anyone and everyone who fancied their chances! Can anyone remember if there are overtaking spots at the Nurburgring? Ok I will bear with it Kimi! Kimi Raikkonen says interest from Red Bull will not affect his chances in the world championship battle. With Sebastian Vettel failing to finish at Silverstone, fifth place saw Raikkonen close the gap to the top of the standings to 34 points. However, more interest has surrounded Raikkonen's chances of moving to Red Bull since Mark Webber announced he would leave the team, but having already fielded questions about his future Raikkonen said he won't be affected by the extra media interest. "It's been like that for ten years so it's not going to change now!" Raikkonen said. "I do my things and you guys do your stuff but I've never had to worry about those things. I've got good people to look after me and they always make good choices for me, so I've got no doubt that they will do so again." Having lost out on a podium finish at Silverstone by not pitting under the final safety car, Raikkonen is aware that his championship hopes mean Lotus needs to raise its game. "We cannot make the mistakes that we made in the last race. Obviously we could have scored much more points and we need to put two cars in the points to change the situation. It's easy to say but it's not easy to do." With Mercedes showing itself to be a threat to Red Bull in recent races, Raikkonen said it would help him if it kept taking points off Vettel but that he's wary of Nico Rosberg and Lewis Hamilton passing him in the championship. "Sometimes [it will help] yes, but at a certain point [Rosberg and Hamilton] will overtake us and it's not going to help us then. So we have to improve and try to get more strong results ourselves." Seen a few overtakes into the hairpin, and then the final chicane. As for hoping Vettel wins...why? The guy has the championship in the bag anyway, we all know Red Bull get stronger near the end of the season. - team was a bit disappointed about the performance of the device. It worked well on practice but in a race it didn't bring the advantage that was expected from it. - we don't know yet if we will use it here at Germany because it shouldn't bring much if any advantage on this track. I know the device wasn't helping Kimi in Silverstone, in fact it properly cost him a few qualifying positions.